Hi Kieran, what have you been working on in Bedford? 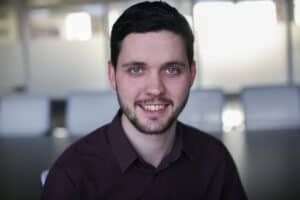 I’ve been with Lungfish, and previously Scape Design, for about six years now – and working with Bedford Borough Council has always been a big part of my job. That continuity is really important and it’s one of the reasons our relationship with Bedford Borough Council is so strong. This particular programme was about converting their education system from three-tier (lower, middle and upper schools) to two-tier (primary and secondary). We’ve worked on about ten schools a year, three years running, so it’s been a huge undertaking. The conversion programme was something the council had been trying to do for a long time, but it was only when Lungfish brought the modular, standardised approach to the table that it finally became a reality. 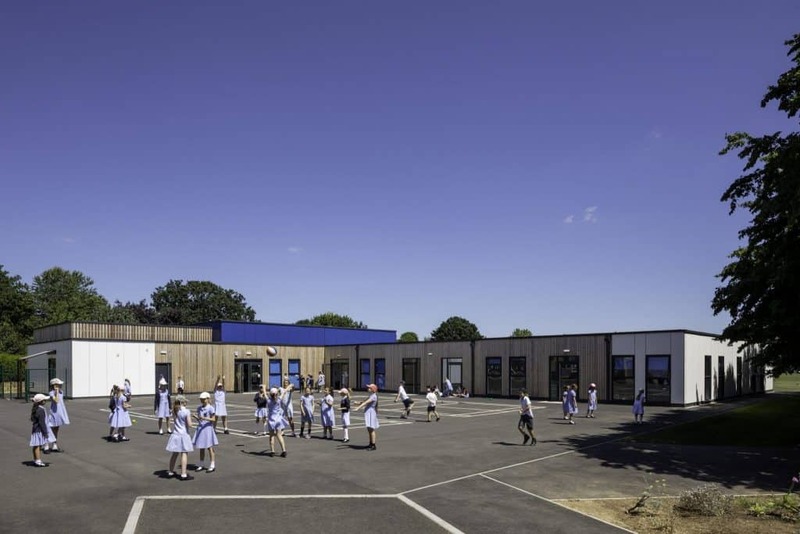 As I’d been working on a temporary classroom replacement project with them previously using modular offsite construction, I was given the task of conducting a borough-wide feasibility study for the three to two-tier conversion programme. The study involved visiting and assessing each school site and talking to the head teacher of every school in the borough to find out what they’d need to make the transition to a two-tier system. We discussed their must-haves and nice-to-haves in terms of additional classrooms, play space, halls etc., then we created a report on each school allowing the council to secure the funding before we applied for planning permission. It was! I won an outstanding achievement award for submitting 22 applications in a year – a team record. It meant I was running 22 builds at once, with some in feasibility, some in planning, some onsite and some ready for handover – I stayed with each one all the way. It’s been challenging in the best possible way, it’s so rewarding to have that responsibility, along with the support of Mel and Andy, and the wider team, as and when needed. How does modular construction help on such a big scheme? Utilising modern methods of construction (MMC) such as modular construction has a really big impact. Sometimes schools worry that we’re giving them temporary classrooms rather than a permanent fix, but we had worked with Bedford Borough Council before and they’d seen that these were going to be proper buildings with similar lifespans to a traditional build. The modular route meant they were largely constructed offsite and the actual site work could be done mostly in the summer holidays, speeding things up and minimising disruption to the schools. It also allowed the conversion programme to go ahead and be delivered within budget. How did the schools react to seeing their classrooms arrive? A lot of them really enjoyed watching their buildings being delivered. It’s always a fun day and people are definitely surprised by how complete their modular classrooms are. Once they’re dropped onsite, almost instantly staff can be escorted inside their new school building to have an initial look round. Then it’s just a matter of weeks until they’re ready to use. Extremely positive – and that’s an amazing feeling. A personal highlight was the official opening of one of the scheme’s bigger schools, Bromham C of E Primary. We had worked very closely with the school, parish and council, overcoming lots of obstacles, and when the mayor came for the official opening, we were lucky enough to have a private tour by two Year Four pupils. It was so good to see them taking ownership of the space – it made all that hard work worth it. Bromham C of E Primary School extension. With Bedford nearly completed, what’s next for you? We’ve already started a couple of additional projects with Bedford, but I’m also working on Hackwood Primary School, the first Sunesis Mosaic school, in Derby. 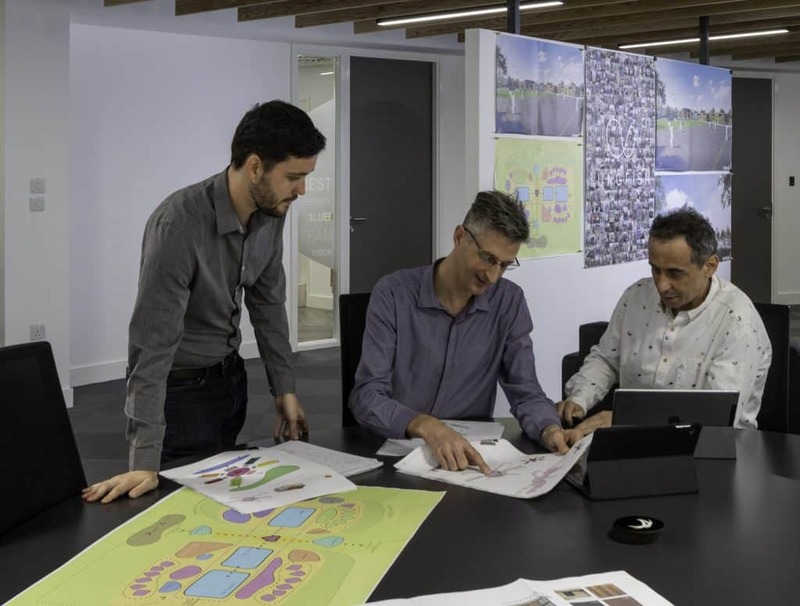 Lungfish are the lead designers for Sunesis schools and developed the Mosaic concept, so they could build any primary school, on any site, from the same set of modular components, so it’s great to be involved with the first live project. We’re harnessing the modular knowledge we’ve developed on schemes like Bedford and using it to create something new. You’re working on a couple of other challenges outside of work as well aren’t you? Yes. I officially became chartered architectural technologist with CIAT at the beginning of January 2019 and it has been a massive achievement career-wise. It’s about documenting the experience I’ve gained – and there’s plenty of it as I used the Bedford two-tier programme as my main project to document my experience. We’ve also recently finished a big kitchen-diner project at home and have now started on bathroom renovations, doing what we can ourselves. I’m finding there’s a big difference between drawing bricks and laying them! Are you still enjoying life at Lungfish? Definitely. It’s an exciting time for us. I’ve been here since day one and it’s been amazing to see the business grow so fast, with no sign of stopping. For me, it’s a testament to how close the team is, and that really is great to be part of. Click here to meet the rest of Team Lungfish. To learn more about the benefits of modular design, click here.